Automatic Income, my first book specifically about investing, is now available. In my role as the founder of MarketBeat.com, and as an investor myself, I learn about a lot of different investment strategies. There are so many voices making recommendations in this space that it’s hard for most investors to sort it all out. I get a lot of questions about how to make smart investment decisions, so I’ve spent a lot of time looking for an investment strategy that I could use myself, that I could recommend to friends, and that I could wholeheartedly recommend to the 425,000 people who subscribe to our daily newsletter. This is a strategy that is historically less volatile than the market and yet has consistently outperformed the market. This strategy is called dividend investing, and Automatic Income will teach you how to do it. Dividends have been responsible for more than 40% of the S&P 500’s total returns over the last eighty years. Dividend investing continues to offer an excellent opportunity for investors of all kinds to build a stock portfolio that will stand the test of time. Whether you’re new to the market, were burned by the last recession or are a seasoned professional, Automatic Income will provide you the framework that you need to earn higher returns from the market while taking on less risk. How you can create an automatic income stream that you can actually live off of during retirement. How you can build an investment portfolio of rock-solid companies that outperform the S&P 500. What specific criteria that you can use to identify dividend stocks that consistently return 10% or more per year. Which newsletters, websites and other resources you should use to research dividend stocks. Why you won’t be tempted to cash out of your dividend stock portfolio during the next recession. How you can reduce your tax bill by choosing the right kind of dividend investments and putting them in the right accounts. Why dividend-growth investing is superior to traditional income investing strategies. Market risk is near an all-time high and interest rates are at a historic low. There has never been a better time to switch to a more sensible wealth-generation strategy. 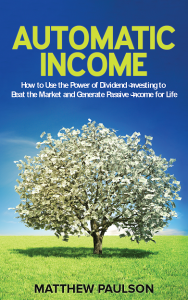 With practical advice and expert guidance, Automatic Income: How to Use the Power of Dividend Investing to Beat the Market and Generate Passive Income for Life is the first resource you should turn to to learn about dividend stock investing. 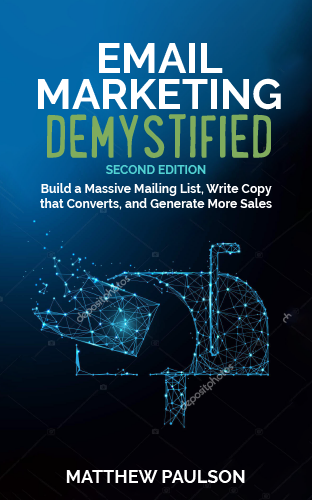 If you want to improve your market returns, spend less time worrying about money and achieve true financial independence, this book is for you. Buy Automatic Income and take charge of your investment portfolio today!